Mark the 6th – 8th November in your calendars for the Vacation Rental World Summit 2015 and settle down for 3 days of VR immersion. 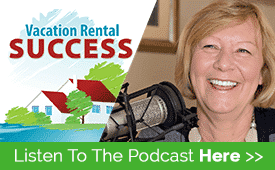 That is what Antonio Bortolotti, the creator and host of VRWS15 would like you to do, and he is here to tell us why in this episode of Vacation Rental Success. I’ve interviewed Antonio on several occasions and it’s always a pleasure to speak with him – and not just for his wonderful Italian accent! He is a great networker and very adept at bringing people together to talk about our industry, and the collection of speakers he has amassed for the Summit is no exception. 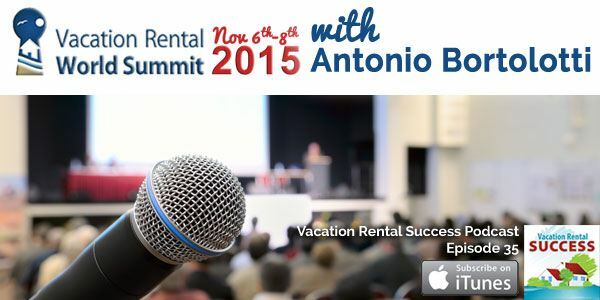 In our interview, Antonio reflects on the success of the Vacation Rental World Summit 2014, not just for him but for those who attended. He heard from many attendees who took the takeaways from the event and applied them into their businesses and experienced massive results. We also talked about the nature of this summit which is a little different from other similar events, because those who attend live have the opportunity to chat online with each presenter after their session. This means that any questions get an immediate answer. Mr X??? – the bonus speaker – Antonio won’t tell us who he is! Where: On a computer near you! And there is also a money-back guarantee, so if you watch the sessions and feel you haven’t got that value you expected, just ask for your money back and there will be no questions asked. I’ll be there and hope to see you too! Always a pleasure to be on your show! 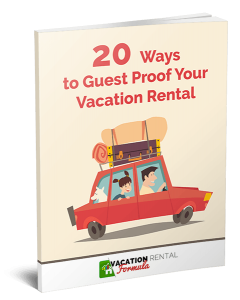 This is very interesting article after reading this post i knew that followed by these i can make my vacation very pleasant , peaceful. thanks for sharing this excellent article.